William (Willie) Paul was born in Glasgow in 1884. He became a socialist and eventually joined the Socialist Labour Party (SLP). The organization that had been inspired by the writings of Daniel De Leon, the man who helped establish the International Workers of the World (IWW) and the Socialist Labor Party in the United States. Leaders of the group included John S. Clarke, Jack Murphy, Arthur McManus, Neil MacLean, James Connally, John MacLean and Tom Bell. Paul eventually became joint editor of the SLP journal, The Socialist, with John S. Clarke, Tom Bell and Arthur McManus. The journal advocated the importance of "revolutionary industrial socialism" and refused to work with reformist parties such as the Social Democratic Federation and the Labour Party. Instead the SLP concentrated on political action for propaganda purposes. In the The Socialist Willie Paul argued for workers' control of industry: "We contend that only those working in the industries have the requisite knowledge whereby these industries can be controlled. Only the industrial workers know the needs and demands of the processes of wealth production... It has been customary for the wage-workers to be told that they must look to the State for salvation. For the last twenty years and more, prominent hot-air Labourists have assured us that the hope of the workers lay in State control. The largest section of the working class movement in its political activity has been responsible for the advocacy of what they called State Socialism. As Industrial Unionists we have argued that State ownership takes all control away from the workers and leaves them at the mercy of unsympathetic and irresponsible ministers." In 1911 Paul became involved in the Clydesbank Singer sewing machine factory dispute, in which 10,000 workers went out on strike in protest at the company's decision to cut the pay of the workforce. Singers broke the strike in three weeks. Willie Paul and Arthur McManus were considered to be ring-leaders of the strike and along with 500 other workers they lost their jobs at the company. Paul now moved to Derby where he earned a living by running a small hosiery and drapery market stall as a one-man business. He was successful in this business venture and other stalls were opened in Manchester, Birmingham, Sheffield, Rotherham and Chesterfield. According to Graham Stevenson: "These were surreptitiously used as centres for radical literature distribution and revolutionary fund-raising. Whilst this business and the role of wandering Marxist tutor brought Paul to temporary stays in many northern and midland’s towns and cities, he was mainly resident in Derby for the rest of his life." Willie Paul was opposed to Britain's involvement in the First World War. Over 3,000,000 men volunteered to serve in the British Armed Forces during the first two years of the war. Due to heavy losses at the Western Front the government decided to introduce conscription (compulsory enrollment) by passing the Military Service Act. The No-Conscription Fellowship (NCF) mounted a vigorous campaign against the punishment and imprisonment of conscientious objectors. About 16,000 men refused to fight. Most of these men were pacifists, who believed that even during wartime it was wrong to kill another human being. 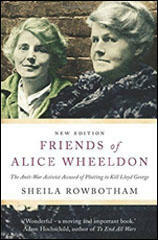 Paul joined Alice Wheeldon, John S. Clarke and Arthur McManus, in establishing a network in Derby to help those conscientious objectors on the run or in jail. This included Alice's son, William Wheeldon, who was secretly living with his sister, Winnie Mason, in Southampton and according to Nicola Rippon Clarke "spent most of the war hiding in Mr Turner's farm at Arleston, now part of Sinfin on the southern outskirts of the town." During the First World War he provided social science classes in Derby from 1917-18. A book of his lectures entitled The State: its Origin and Functions was published as a result of these classes. According to Graham Stevenson: "The work clearly follows classic Marxist themes, but more interestingly draws the same or similar theoretical conclusions as Lenin was reaching at the same time, without the benefit of Paul being able to read Lenin’s work at this point, since it had not yet been translated." In 1918 he unsuccessfully stood for Wigan as a Socialist Labor Party candidate in the General Election. He took 13% of the vote in a straight fight with an official Labour Party candidate. In April 1920, Willie Paul, Tom Bell, Willie Gallacher, Arthur McManus, Harry Pollitt, Rajani Palme Dutt, Helen Crawfurd, A. J. Cook, Albert Inkpin, Arthur Horner, J. T. Murphy, John R. Campbell, Bob Stewart and Robin Page Arnot joined forces to establish the Communist Party of Great Britain (CPGB). McManus was elected as the party's first chairman and Bell and Pollitt became the party's first full-time workers. Willie Paul argued strongly against the strategy suggested by Lenin that the CPGB should develop a close-relationship with the Labour Party. "We of the Communist Unity Group feel our defeat on the question of Labour Party affiliation very keenly. But we intend to loyally abide by the decision of the rank and file convention... The comrades who voted in favour of the Labour Party were undoubtedly influenced by the arguments put forth on this question by Lenin, Radek, and many other Russian Communists. We believe that these heroic comrades, in urging Labour Party affiliation, have erred on a question of tactics. But we frankly admit that the very fact that Lenin, Radek, Bukharin, and the others advise such a policy is a very good reason why a number of delegates thought we were perhaps in the wrong." Paul became editor of the Communist Review (1921-1923). He also contributed to the Sunday Worker, The Communist and the Labour Monthly. He was the Communist Party of Great Britain candidate at the Rusholme constituency in the 1922 General Election. He received 5,366 votes and was beaten into third place by Charles Masterman. He also finished third in the 1924 General Election. Paul ceased to play an active role in the Communist Party of Great Britain after the second of these parliamentary elections. It has been claimed that he was unhappy with the role that Joseph Stalin played in the formation of CPGB policy. Paul, as a supporter of workers' control of industry, also disapproved of Soviet-style "state socialism". During the Second World War, he was much involved in campaigning work in aid of the Soviet Union in its fight against Nazi Germany. After the war he was a prominent supporter of the Derby Peace Council. Willie Paul died in Derby in March 1958. By John Simkin (john@spartacus-educational.com) © September 1997 (updated November 2015). Industrial Unionism is not only a means of improving the immediate conditions of Labour. It has a greater object than that; it aims at controlling the means of wealth production on behalf of the workers. We contend that only those working in the industries have the requisite knowledge whereby these industries can be controlled. Only the industrial workers know the needs and demands of the processes of wealth production. We further affirm that industrial unionism, representing the workers along the lines by means of which wealth is created, is the only democratic solution to the social problem. Industrial Unionism is, therefore, not only the best means by which to wage the class struggle, it is also the best and safest method whereby the workers can achieve their emancipation. It has been customary for the wage-workers to be told that they must look to the State for salvation. For the last twenty years and more, prominent hot-air Labourists have assured us that the hope of the workers lay in State control. The largest section of the working class movement in its political activity has been responsible for the advocacy of what they called “State Socialism.” As Industrial Unionists we have argued that State ownership takes all control away from the workers and leaves them at the mercy of unsympathetic and irresponsible ministers. We have stated time and again that it is impossible for State officials to understand the nature of the problems arising in the industries, or to appreciate the grievances of the workers. The reports issued by the Industrial Unrest Commissioners clearly prove that the State bureaucrats are unable to realise the problems which arise, in every workshop. I have had a long and interesting interview with Lenin. We spoke on various aspects of the movement, and particularly upon the growth and progress of Communism in Britain. Lenin had read the report of the Communist Unity Convention held in London last August. He said that the verbatim report of the speeches and resolutions of the Convention showed that the formation of the Communist Party marked an epoch in the history of the British revolutionary movement. The Communist Party had gone a long way towards unifying the Communist elements in Britain, and he hoped that the Party, which had made such an effort to achieve unity, would assist the Communist International in making the forthcoming Unity Congress a great success. Our greatest weakness is the continued prevalence of sectarian factions in the Left Wing. This spirit must be crushed, he contended, at all costs. The time had long since passed for the existence of narrow, partisan, doctrinaire bodies like the present S.L.P. He was very much interested in my account of the S.L.P., and of its pioneer advocacy in Britain, of the industrial form of the Socialist Republic. He said he had never known that there existed a party in Britain which had refused to participate in the various Congresses of the Second International prior to the war. But why, he asked, did a party with such a record - a record which seemed to indicate that it had been working out the theories of the Bolsheviks before the 1917 Revolution - fail to respond to the revolutionary needs of the movement by refusing to attend the rank and file Convention at which the Communist Party was launched? I said that the vital point of difference between the S.L.P. and the Communist Party was the question of affiliation to the Labour Party. The S.L.P. considered any such approach to the Labour Party was a compromise of principles. Those of us who were expelled from the S.L.P., for attempting to secure unity, were equally opposed to Labour Party affiliation, but we were prepared to go and light out our case on the floor of the Unity Convention and abide by the result of the decision. We viewed the whole question of Labour Party affiliation as one of tactics and not one of fundamental principle. We also considered the need for Communist unity to be of greater importance than minor points such as Labour affiliation. Lenin said that was the proper attitude. But, he said, now that the Labour Party has rejected the application of the Communist Party, now that the Labour Party, itself has solved the problem which separated the S.L.P. from the Communist Party would the S.L.P. join up with the Communist Party? I said I did not think so. Such a party, he said, is destined to speedily disappear; the movement has neither time nor a place for such bodies. 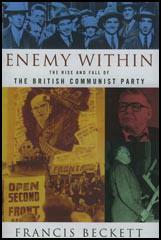 In any case, the Third International, by organising a further Unity Convention, which every disciplined group claiming adherence to the Communist International would have to attend, offered a last chance to the various factions in the Left Wing of the British movement to build up an united Communist movement. Lenin then proceeded to discuss the attitude of the Communist Party towards the Labour Party in view of the much talked-of forthcoming General Election. His views on the subject showed that he abhors the type of revolutionary who has a canalised, or single track, mind. Lenin looks upon every weapon as necessary in the conflict with capitalism. To him, as a good student of old Dietzgen, every weapon, every policy, and every problem must be examined in the terms of its relations to the needs of the moment and the means at our disposal. This explains why he does not go out of his way to extol one particular weapon. He clearly realises the value of revolutionary parliamentary action but, he also understands its limitations as a constructive power in the creation of a Workers Industrial Republic. To Lenin the test of the real revolutionary Communist is to know when to use a given weapon and when to discard it. Talking on the Labour Party, Lenin said he was very glad to learn that it had refused to accept the affiliation application of the Communist Party. It was a good move to have applied for affiliation, because the refusal of the Labour Party to accept Communists in its ranks showed the masses exactly where the Labour Party stood. Henderson had thus unwittingly paid a great tribute to the growing power of revolutionary Communism in Britain by being afraid to have aggressive Communists in his organisation; and the Labour Party, by its own action, in turning down the Communist Party, had plainly indicated that there was at last a fighting group in Britain which had attracted good mass fighters to its ranks. Of course, continued Lenin, we must not forget that the Communist Party in its application for affiliation to the Labour Party very frankly put forward certain conditions which would have given it full freedom of action to conduct its own policy in its own way. We must never enter into negotiations with bodies, such as the Labour Party, without demanding full freedom of action. In this respect the Communist Party’s attitude in applying to the Labour Party for admission to its ranks differed, most fundamentally, from such organisations as the I.L.P. and B.S.P., which formally accepted the Labour Party’s constitution and policy. The strong stand taken up by the Communist Party, in seeking affiliation with the Labour Party, was no doubt arrived at as a result of the B.S.P. policy sharpened by the militant elements expelled from the S.L.P. It was a good omen for the future that these two groups were able to come together. And it was a good thing that the ex-S.L.P. men, who were so keen against affiliation with the Labour Party, realised the value of revolutionary discipline by refusing to split the new party because their own position had not been accepted. Likewise, when the Labour Party threw out the request for affiliation it was the B.S.P. element that was tested and it stood firm. To have past through two such severe trials, and to have maintained the solidarity of the organisation, was a tribute to the seriousness of the comrades who had formed the Communist Party. In all moderate sections of the British Labour movement one hears nothing but puerile lamentations regarding the great capitalist conspiracy to crush the organised industrial workers. This is the cry that is now uttered by Messrs. Henderson, Clynes, Thomas, and the other “privies” of modern Labourism. We do not deny that the capitalist class has organised its forces to try and smash the trade union movement; indeed, we have never heard of a time, in the history of propertied society, when the aim of the property owners was not to try and subjugate the toiling masses. But it is not only necessary that the workers’ attention should be directed to the determined attack which the master class is making upon them, of even greater importance is it for them to know about the hideous conspiracy of the trade union leaders who have wrought more havoc among the organised masses than all the combined onslaughts of the propertied interests could ever have done. For, after all, a capitalist offensive upon the trade union masses automatically reacts upon them and instinctively creates resentment, which in its turn produces defensive and aggressive tactics. No one can deny this. The rank and file miners wanted to fight when Smillie diverted the struggle into the Sankey Commission truce of defeat. Last year the industrial mass struggle was sabotaged by Black Friday. This year 47 unions, led by A. Henderson, went down in a defeat unparalleled even in the history of British trade union betrayals. The conspiracy against the working-class, in this country, is not that it is being attacked by the capitalist class; that is the normal condition of the class struggle. The real conspiracy against the trade unions lies in the damnable treachery of the trade union leaders themselves who, since the armistice, have systematically and successfully undermined every instinctive attempt of the rank and file to put up a fighting resistance against the employing class. The dauntless fighting spirit of the masses was such that easily it could have surmounted the inherent weakness of the trade unions. But what it could not surmount was the bureaucratic power of leaders determined to avoid a struggle even at the expense of betraying their own members. John Reed's descriptive sketch of the opening scenes of the Soviet revolution is history portrayed with cinematographic vividness. After reading a few pages one seems to be whirled into the vortex of the revolution itself. So graphic is the writing that one does not read from page to page; one lives and moves from event to event. The author was well equipped for his task. While a student at an American University he had thrown in his lot with the revolutionary members of the I.W.W. He was a poet rooted to the realities of the world by a study of Marx. Here, indeed, were mingled the ideal ingredients for writing the epic of the workers’ first victory in their conquest of world capitalism. The keen-eyed John Reed entered Russia in 1917 as a correspondent for an American paper. He was able to see the chaos created by the war and the Tsarist government. He was confronted, on every side, by the helpless and cowardly incompetence of Kerensky and his Right Wing Socialist ministers. These gentlemen did not destroy Tsarism; it collapsed internally through its own putrid condition when the masses pricked it. What Kerensky and his associates did was to refuse to face any of the immediate problems forced forward by the capitulation of the Tsar. Neither industry nor the land were attended to. The government seemed to be reduced to that state of palsied bewilderment which is the normal condition of the Second International when confronted with the tasks and responsibilities of government. When Lenin and the other Communist leaders arrived in Russia, the masses were not favourably disposed towards the Bolsheviks. Lenin, by his clever and straightforward policy of always forcing forward the struggles, unmasked the cowardice and ineptitude of Kerensky and the Mensheviks. Each day in its passing verified the attitude of Lenin and showed, at the same time, that Kerensky and his Right Wing Socialist advisers were wrong. As history was moving rapidly on top gear, the very swiftness of events made things increasingly difficult for Kerensky and easier for the Communists. Thus the masses rallied to Lenin. And what did this mean? It meant the beginning of the real battle for power. It meant the opening of the greatest struggle in history—the shifting of political power from the control of the propertied interests into the hands of the propertyless masses. Kerensky and his Right Wing Socialist friends talked very gaily about Nationalisation. They were almost as blithe on this point as some of our I.L.P. friends. And like the I.L.P. they had not worked out the need for the struggle for power. Hence, when Kerensky was given office he could only accomplish, like his imitator MacDonald, a policy of capitalist continuity. Ten Days that Shook the World is the record of the Russian workers’ struggle for power. The revolutionary crisis lasted much longer than ten days. But those critical days decided the final fate of the Russian propertied interests. John Reed’s remarkable study is first of all a story; secondly it is a history; and thirdly it is a thesis on revolutionary struggle. Those who possessed the original expensive edition generally read it three times. One sweeps through it in the first reading; then the second time one studies it in order to remember the important land marks in the development of the Soviet revolution. In the third reading one goes more slowly and learns important lessons from it which can be applied universally.